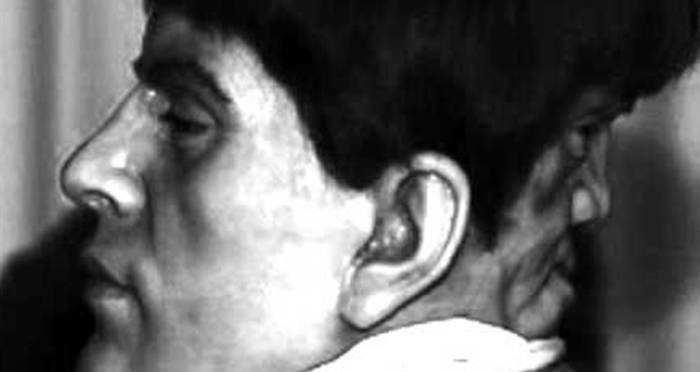 The True Story Of Edward Mordrake, "The Man With Two Faces"
Edward Mordrake claimed that the face muttering things in his ear constantly drove him insane. TwitterThe photo — actually of a wax construction of what Edward Mordrake might have looked like — that set the Internet abuzz. In 1895, The Boston Post published an article titled “The Wonders of Modern Science” that presented astonished readers with reports from the Royal Scientific Society documenting the existence of “marvels and monsters” hitherto believed imaginary. The “human freaks” supposedly cataloged by the British scientists include a mermaid, a terrifying “human crab,” and the unfortunate Edward Mordrake, who would soon become an enduring urban legend. As The Post reported, Edward Mordrake [or Mordake as he was originally called] was a young, intelligent, and good-looking English nobleman who had everything one could ask for from life. With all these great blessings, however, came a terrible curse. 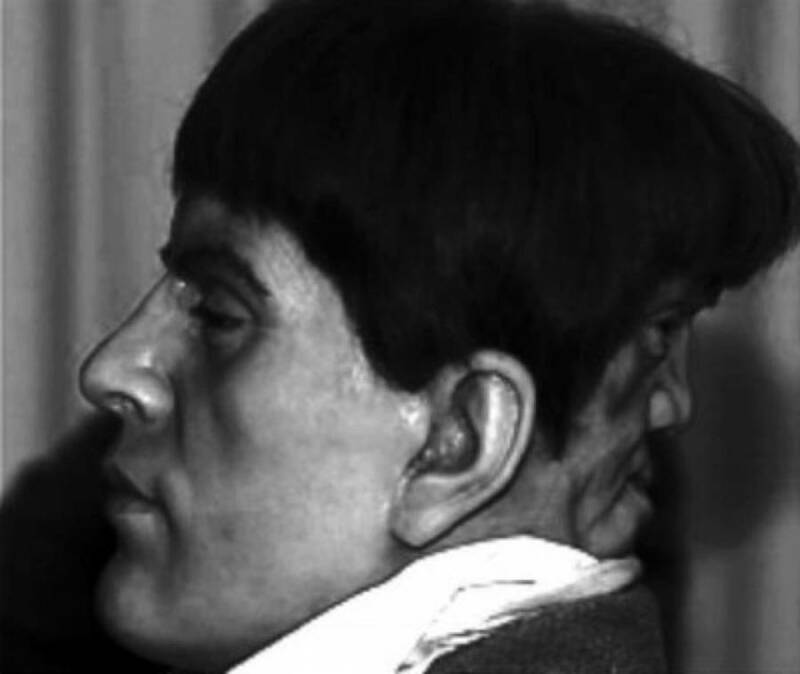 In addition to his handsome, normal face, Mordake possessed a terrifying disfigurement: another face on the back of his head. 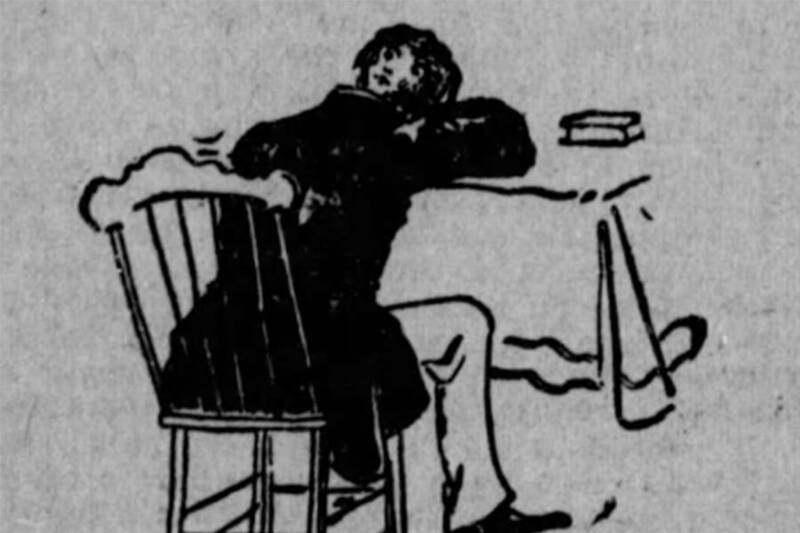 The morbid story fascinated readers and rapidly gained popularity as a literal account, despite the fact that the article’s author was a known writer of fiction. In fact, the story of the cursed nobleman was so widely accepted that his condition appeared in an 1896 medical encyclopedia. The tome was co-authored by two respected physicians and, since they recounted the original newspaper story in full without any additional details, gave an added air of authority to Mordrake’s tale. Edward Mordrake’s story experienced a recent resurgence in popularity, thanks in part to the TV series American Horror Story. The show rehashes the basics of the urban legend, although the television incarnation of Mordrake is driven to murder rather than suicide by his evil second face. The writers must have taken a great deal of inspiration from the original Boston Post article since the lobster boy also makes an appearance that same season. Lest modern readers think they are so much wiser than their Victorian forebearers that they could never be taken in by such an absurd tale, only a few days before the writing of this article a photo supposedly depicting the remains of Mordrake’s head went viral. This is not the first time a photo of the cursed nobleman has seized the public’s attention; however, like all of the others, it is far from authentic. 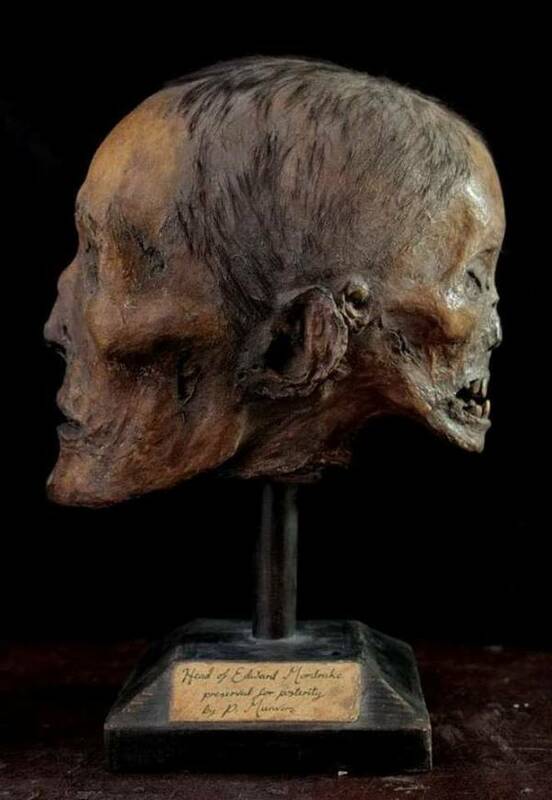 Wikimedia CommonsThis photo supposedly depicting Mordrake’s preserved head quickly went viral. The gruesome Janus-like skull is, in fact, just a paper-mache artist’s imagining of what Edward Mordrake might have looked like. The artist has gone on record stating it was created entirely for entertainment purposes. The other famous photo that is often mistakenly labeled as authentic is the work of a different artist, this one done in wax. Of course, even the most fantastic stories do contain at least a small grain of truth. The medical condition known as “craniofacial duplication”(the result of an abnormal protein expression) can cause the facial features of an embryo to be duplicated. The condition is extremely rare and usually lethal, although there are recent documented cases of infants who managed to survive a short time with the mutation. Lali Singh was born with the condition back in 2008. Far from thinking the child had been cursed like Edward Mordrake, residents of her tiny village believed her to be an incarnation of the Hindu goddess Durga, who is traditionally portrayed with multiple limbs. After the poor baby Lali died when she was only a few months old, the villagers constructed a temple in her honor. After learning about Edward Mordrake, check out the most interesting oddities of P.T.Barnum. then, read about the legend of Charlie No-Face.